I’ve had the need to measure some small currents a few times and my cheap multimeter is not exactly the best tool for that. 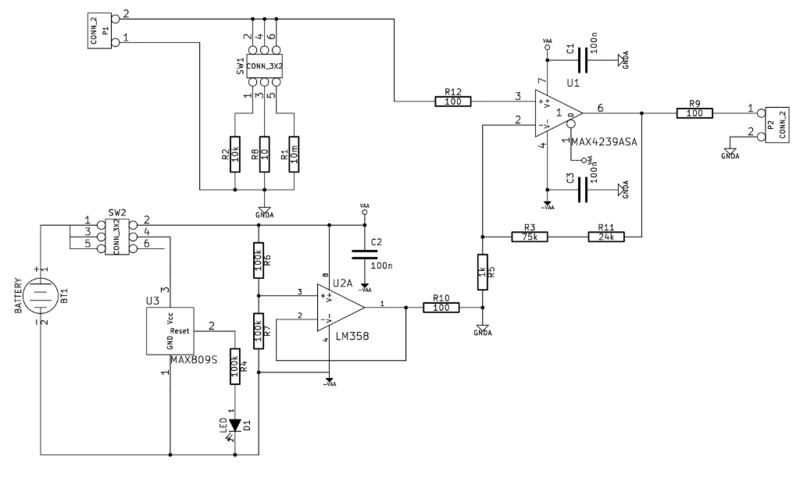 I decided to build a current adapter (a “transresistance amplifier” to be exact!). I already had almost all the parts for a µcurrent adapter created by Dave Jones (µcurrent) which fit the bill nicely. 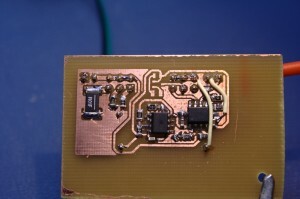 The device is basically a run-off-the-mill current shunt with an amplifier. The advantage in this type of an adapter is that the shunt resistance is a lot less compared to a regular multimeter so the so called “burden voltage” ends up being much smaller than with a multimeter. For example measuring a 190mA current with a Fluke 87V drops 0.342V over the meter, but with an adapter like this you end up dropping just 13.3mV. 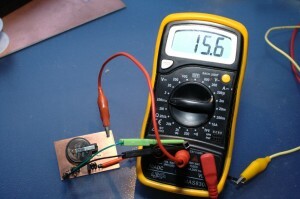 Which is a considerable difference if you’re measuring small voltages. Here is the schematic for my version. 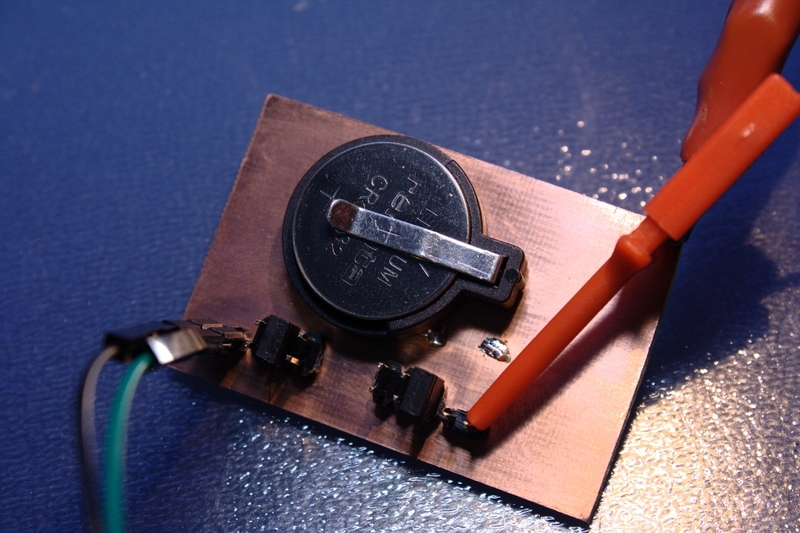 It is very similar to the original, it uses a CR2032 coin cell as the power source and creates a virtual ground with the LM358 operational amplifier. It also has a battery check feature which lights up an LED if the battery voltage is over 3V. I currently use a jumper on the pinheaders SW1 and SW2 but I’ll change to some switches when I get the enclosure for the project. 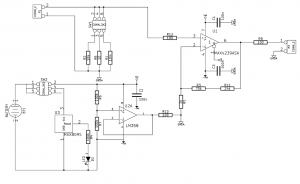 The MAX4239 is a special op-amp which does all the magic in this circuit. It amplifies the voltage over the shunt resistors (R1, R2, R8) so that the voltage output on P2 ends up as 1mV/mA, 1mV/µA or 1mV/nA depending on the range. 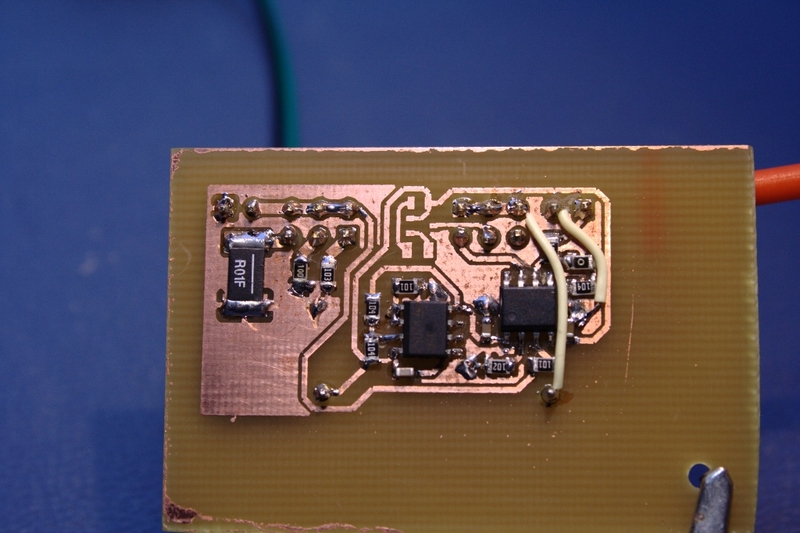 I just used regular 1% resistors everywhere so my version is most likely not too accurate. Neither is my multimeter so… It would be interesting to do some measurements on the performance of this adapter and calibrate it. The PCB layout ended up pretty ugly but I decided not to fiddle around with it too much since this circuit is for ~DC measurements so the layout is not critical. The battery takes a lot of space and the board width is dictated by the enclosure I’m going to use (I’ll make a new post when I get the thing boxed up). The performance seems good enough. I tried feeding 200nA through it (10Mohm resistor in series with a 2V supply) and the reading was within 10% so it’s working nicely. Now all I need to do is box it up, but first gotta wait for the enclosure to show up!